What a great miracle! You have done it once again. You proved to the world that you are a great miracle in yourself. You are the Hero of Delhi...their Heart...Their Superman!!! Emerging with a thumping majority of 67 out of 70 is not an ordinary task. It is possible only for a Superman like you. It shows how dearer you are to the Delhites. The entire Delhi wants you to lead them. The 3 seats you missed may have gone only because of some hesitation or the state of the indecisiveness of some of the people. So it is clearly 100% vote for you. So, the entire Delhi stands for you - one and only you "Arvind Kejriwal". Now it is time for you and your party to perform. You should stand up to the hopes and expectations of the Delhites. Your thumping return shows how great expectations and hopes they are placing on you. It is a kind of "Superman Returns" to save them from their problems. They are not disappointed by past incidents that took place during your party's past short regime. They did not lose hope. They decided to give a chance to you and your party to perform and prove. So, it is time for shedding all those childish attitudes and become more serious. AAP should take it more seriously and strive hard to keep the confidence they have regained from their people. They should think seriously and act with good workable solutions at each and every task. Delhi people are known for their elite intelligence. They are more capable and intelligent in making decisions. So when they voted Aam Aadmi Party to power, and that too in spite of their failure in their first chance, it means that Delhiites were able to see something special in AAP- some qualities which are acceptable and good for them and which can lead them to better life. So, Aam Aadmi Party should do it with even more responsibility and care and should live up to their expectations. They should try to discuss each and every aspect clearly and act with more intelligence and smartness. No silly childish acts anymore. Every act should be an act of a grown up and serious person. They should find out workable solutions for each act and no random responses anymore. Once they are able to prove that they can do things seriously and prudently, they can win more confidence and support from people. Then, they may try to spread their wings towards other states like Punjab, Rajasthan, Haryana, Kashmir, Assam, Kerala and Tamil Nadu also slowly. 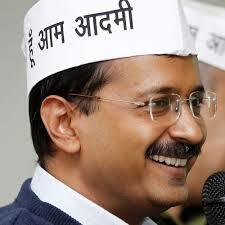 So, perform well and wish you all the best- "Arvind Kejriwal" and AAP.